All those different roles we tend to play in daily life and on stage. A way to B is about the game between real and untrue, between the actors and the musicians and the disorder that arises when musicians behave like actors and actors just pretend to be musicians. 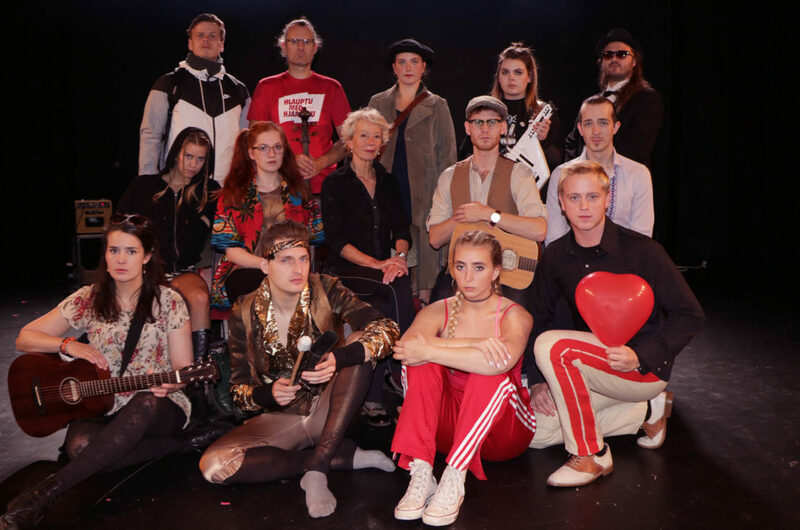 The Devised Workshop is a collaboration between the department of performing arts and the department of music at Iceland Academy of the Arts. It´s about creating something from nothing, creating something from scratch. All people including actors and musicians, carry tons of stories, stemming from experiences, emotions, memories and interrelations to the world in which they live and work. This inner material is the starting point of our workshop, in which performers and musicians can continually surprise and inspire each other. After the 4 o’clock performance there is a Q&A on making theatre and the theatre scene in Iceland. The Q&A is open to the public and will last one hour. Sigurður Halldórsson, programme leader of NAIP. Programme leader of Acting at Iceland Academy of the Arts: Stefán Jónsson.